Reger Rizzo & Darnall Welcomes Linell Lukesh & Meredith Schilling to the Firm! Reger Rizzo & Darnall is pleased to announce that Linell M. Lukesh and Meredith C. Schilling have joined the Firm’s Philadelphia, PA Office. 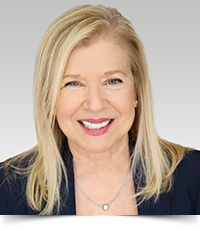 Linell M. Lukesh concentrates her practice in the areas of general commercial litigation, utility and corporate law. Throughout her more than 20 year career, Ms. Lukesh has successfully defended clients in a wide range of matters, including general liability, restaurant liability, transportation, motor vehicle injury, property damage, products liability, toxic torts, defamation, construction litigation, workers’ compensation, and employment claims on behalf of insureds and self-insured companies. 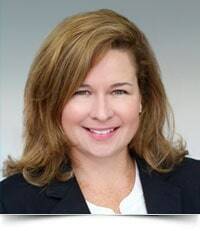 She has litigated cases in Pennsylvania and New Jersey state courts, and has represented clients before the Pennsylvania Public Utility Commission. Prior to beginning her legal career, Ms. Lukesh pursued a career in child care administration. During this time, she served as a federal projects officer in the United States Department of Health & Human Services, where she established and oversaw the administration of Head Start, a federally-funded non-profit organization, in Luzerne and Wyoming Counties. Meredith Schilling is a member of Reger Rizzo & Darnall’s Litigation and Insurance Practices Groups, where she focuses her practice on litigating complex insurance coverage issues arising in first-party property and casualty claims and defending bad faith and extra-contractual claims in both state and federal courts. Ms. Schilling's first-party property experience includes litigating claims under the National Flood Insurance Program’s Standard Flood Insurance Policies issued by write-your-own insurers.